Uta Uta’s work is characterised by its explosive energy, in which symbolic elements appear restlessly on the surface of the painting. His paintings pulse with heroic energy and rarely sit comfortably within the confines of a rectangular format. He was one of the most formidable and important of the Papunya Tula artists, with the capacity to tap the raw energy of the Tjukurrpa and give it visual form. Uta Uta was central to the establishment of the first phase painting at Papunya, when vivid representations of ceremonial details were laid down on hardboard. 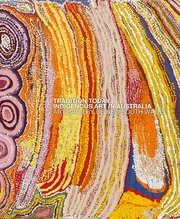 He was also an important innovator in the rapid stylisation of Pintupi painting in the second phase of its development (during 1972–75), and was one of the artists who established the conventions of Pintupi painting. He was, paradoxically, also the artist who pushed hardest at the boundaries of those conventions, disrupting a formal reading of his painting with incursions of idiosyncratic visual elements or vibrant, ‘non-traditional’ colours. The inspiration for much of Uta Uta’s work was the ancestral story of the illicit coupling of an old man and his mother-in-law at Yumari. The standing stones and trench-like rockholes at the site reappear in his paintings as bold Freudian iconography, and provide an exciting narrative quality to his work. Two of his monumental canvases, Yumari , 1981 and Old Man at Yumari , 1983, were exhibited together in Dreamings: Art of Aboriginal Australia at the Asia Society Galleries, New York in 1988; this exhibition was seminal in gaining international recognition of Aboriginal art. Uta Uta’s stature as a major artist was matched by his leadership in important social change amongst Aboriginal communities in the latter half of the twentieth century. Uta Uta Tjangala was a truly remarkable man whose best artwork provides a window to his passionate commitment to his culture, his country and his fierce engagement with life.